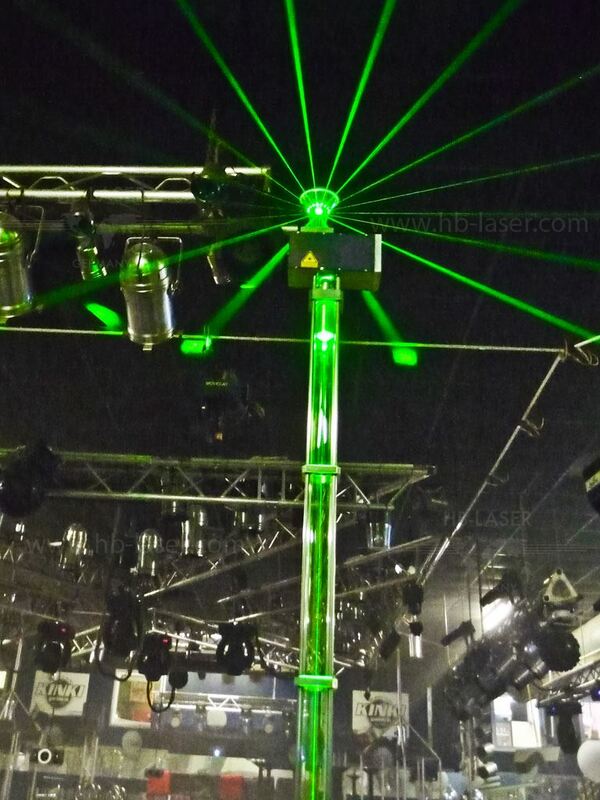 The nightclub Kinki Palace in Sinsheim, Germany, is one of the most famous clubs in German electronic music scene. It is frequently featured by the electronic music radio station Sunshine-Live and therefore several famous DJs are residents there and there are frequent big-name gigs. HB-Laser supplied a massive laser setup for the Kinki Palace in 2012, which substituted the old gas laser system they had before. The laser show control is done with Pangolin laser show control software. 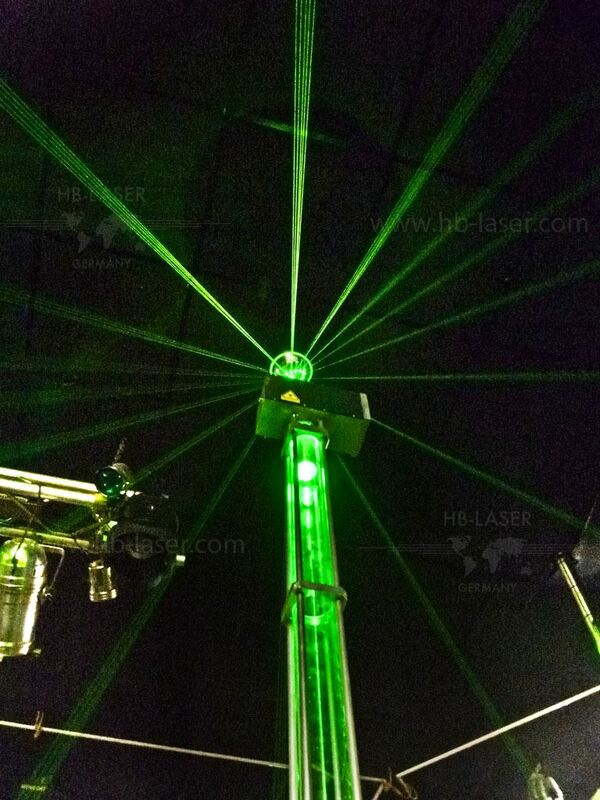 HB-Laser also rented laser systems to the Kinki Palace for special events, like when they rented two 360° projection lasers, where the laser beam was conducted through a vertical glass tube from the laser projector to the 360° projection head (see pictures).